1st annual HMD.GIF contest winner announced! 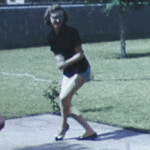 We’re pleased to announce the winner of the 1st annual HMD.GIF contest is the Texas Archive of the Moving Image (TAMI) with “girl dancing in the yard.” It was tough to pick a favorite among all the wonderful submissions, but this funky gal, dancing endlessly in a perfect loop, captured the heart of our judges unanimously. 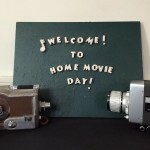 The Center for Home Movies is having a HomeMovieDay.GIF Contest! Help us celebrate Home Movie Day season by creating a GIF using your favorite home movie. Submit it to our Tumblr for the chance to win $200.00! Contest closes Friday, November 18th! Winner announced Monday, November 28th. Looking for “GIF-spiration”? Check out the Home Movie Registry to discover hundreds of films from collections across the US. Home Movie Day 2016 is almost here! Home Movie Day 2016 is fast approaching! 60 cities in 15 countries worldwide have announced their events and new events are being announced weekly! This year’s “official” day is Saturday, October 15th, but in some cities HMD festivities may take place several weeks before or after. Visit the Home Movie Day site to find an event near you and start looking through closets and attics for your family films. This year’s poster is courtesy of Julien Charbonneau of the Cinémathèque québécoise. Inspired by the classic illustrations from “Movie Makers” magazine. CHM awarded a grant from CLIR to develop the Home Movie Archives Database! Home Movie Days around the world, new collections, Home Grown Movies and our ever expanding community of amateur film advocates and supporters are all highlighted in our 2015 Annual Report. 2015 saw the Center for Home Movies (CHM) hit the little screen in a big way, with a featured slot on CBS’s Sunday Morning show. Our featured project for the year was the Home Movie Registry, an ambitious venture which was introduced to the archival world after several years in the making. 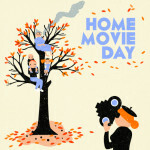 Home Movie Day continued to grow in its 13th year, with events taking place in a record 21 countries around the world. We revived our preservation program, thanks to a grant from the National Film Preservation Foundation, which allowed us to preserve a home movie of the 1944 Republican Convention. We also saw a change in our Board of Directors, with two members stepping off, and a new one stepping up. Home Grown Movies 2015 continues! Home Grown Movies 2015 continues! 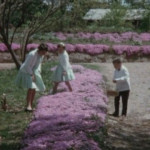 ‘Easter and Funeral‘ is a film shot by Hubert M. James during spring 1963 in and near Flowery Branch, Georgia. In two distinct sections, the first shows the James family children searching for Easter eggs at the their home, and the second the funeral of WWII veteran and James family relative John A. Reed. This home movie was provided by Bonita James Roberts and brought to our attention by Ruta Abolins (Cleveland, GA Home Movie Day). 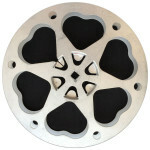 A very special thank you to them both and to Movette Film Transfer for digitizing the film.